Dinghy Cruising Association members range widely in very different boats. Some seek quiet waters, others prefer more restless seas. Some visit both. Most of their craft meet the guidelines suggested in our Safety Recommendations. A lot of them are clearly safe, stable vessels, perhaps traditional in appearance. Others have been designed and built to meet specific cruising needs. 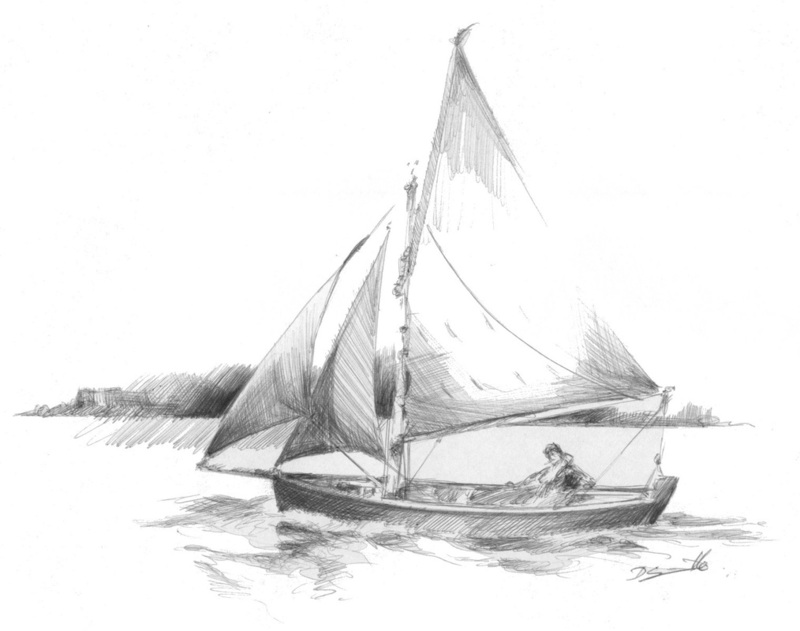 Many more are well-known class dinghies with a racing pedigree: these are frequently, but not always, adapted for cruising and camping. ​Light, slim, fast dinghies and heavy, beamy, stable ones have their particular advantages and shortcomings – and also their own enthusiastic supporters. The debate about which kind is best will rage among cruising sailors for as long as there’s a sea to sail on. No single design or type has ever been accepted by a majority as the perfect cruising boat. ​However, there may be a boat that is perfect for you. You need to consider where you will sail her and what you want to do in her. Most of all you need to consider your own level of skill and your confidence in the boat, plus an awareness of her – and your – limits. This is far more important than chasing after the impossible dream of one ideal boat for all. Before choosing a boat, do take every opportunity to sail in as wide range of boats as possible - the DCA rallies are an excellent place to try out different boats and discuss your ideas with others. Our forum is also a source of information and advice.